Runners that complete all five events in the Run Houston! Race Series for the calendar year earn a special Series Finisher items. Athletes earn credit for completing the event with verified results for the 5k, 10k, kids 1k, and virtual distance races for each event. For virtual events, results must be submitted by the completion date listed on the Virtual Event Information page. Those that submit results after the designated period will not be eligible for Series Finisher items. Those that complete all five events in the 2019 Run Houston! Race Series will earn their choice of the Series Finisher medal display or a custom 30oz. stainless steel tumbler. After race #4, Run Houston! University of Houston, we’ll begin running a Series Finisher report displaying those who have completed the first four races AND are registered for the Series Finale, Run Houston! Sugar Land. 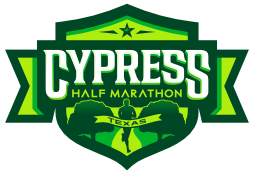 Those that complete all five events in the 2018 Run Houston! 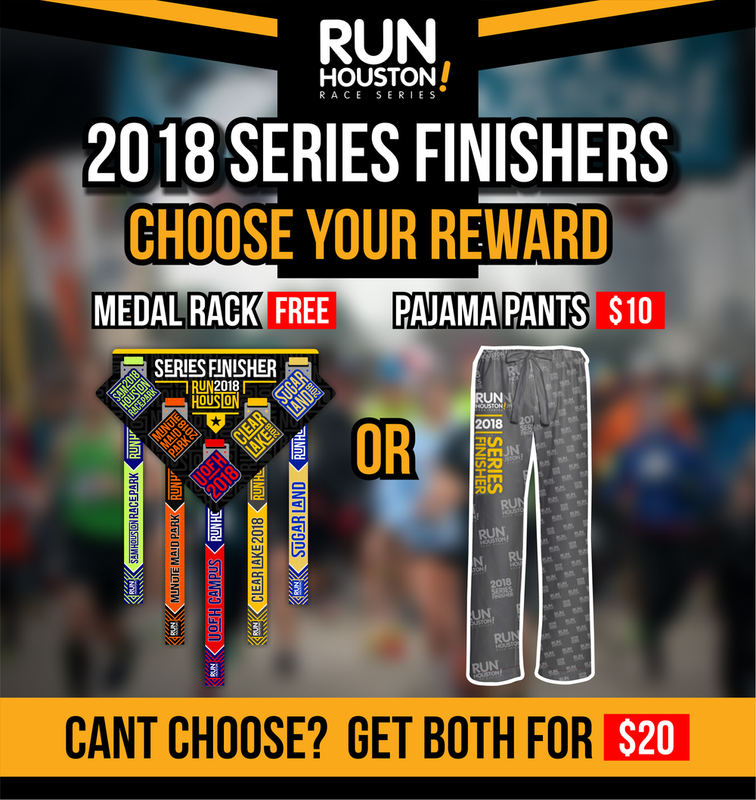 Race Series will earn their choice a Series Finisher medal display provided by Negative Split Awards & Displays or fully custom pajama pants, see images for details. After race #4, Run Houston! University of Houston, we'll begin running a Series Finisher report displaying those who have completed the first four races AND are registered for the Series Finale, Run Houston! Sugar Land. You are registered for the Series Finale, Run Houston! Sugar Land, as of 1:00am on 12/1/2018. The list will be updated approximately once a week until December 1, 2018. 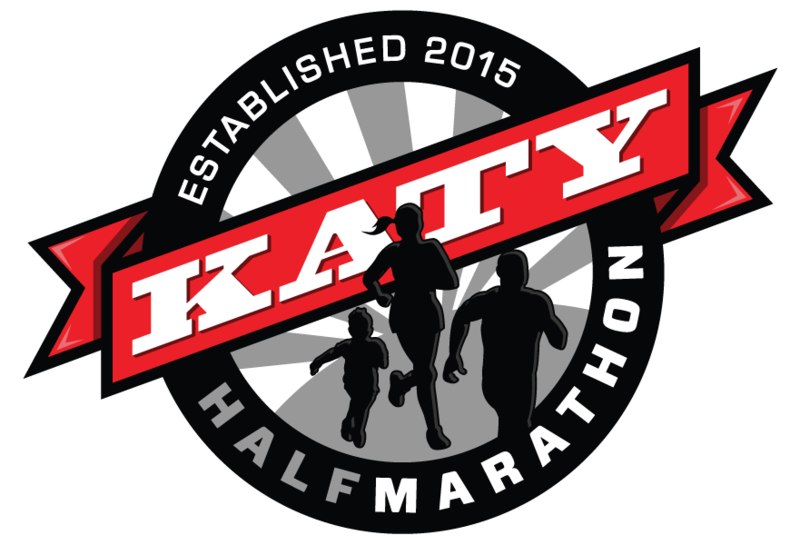 If you registered for Run Houston! Sugar Land after the date and time listed on the last update, you’ll be included on the next update. If you have met BOTH requirements listed above and are not on the list, please use the form below to have your name added to the list. 2018 Series Finishers will have the option to choose either one of both of the following items. To choose you must make your selection by 10/30/2018 at 11:59pm. Those that do not make their selection by that date will default to the Series Finisher medal display. We will have a few additional pajama pants available after the date but size availability will be on a first come first serve basis. Click the button below, and search for your name. Claim your registration to add it your RunSignUp profile. You may need to wait 15 minutes for the system to process your claimed registration. Visit your RunSignUp profile and click “Manage Registration” under the Series Finisher event. Select add-ons and make your selection for your Series Finisher item(s). Thank you for submitted your Series Finisher inquiry! Please allow up to 24 hours for a response from our support team.